Everyone knows I love my Tide laundry detergent. I thought I was doing pretty good to get a 50 oz jug for around $2, but now I’ve come up with a way to make 3x that amount for around $2! Put 1 and 1/4 gallons hot tap water into your bucket or storage tub. Add 1/2 cup borax, 1/2 cup washing soda and 1/2 cup baking soda. Stir until dissolved. Then add your soapy mixture, stirring until dissolved. Add another 1 and 1/4 gallons hot water**. Stir, cover and let sit overnight. 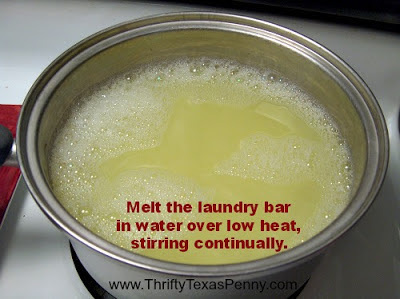 **if you want your detergent to be a little thicker/concentrated, only add about 3/4 – 1 gallon. The first two steps take about 30 mins. After the detergent sits overnight it will be a wet solid gloop. Stir it well. Then if you want to scent it you can either add 20-30 drops of essential oils or 4 caps full of your favorite laundry detergent*. That’s Tide right? I’m told that these detergents are safe to use on the HE machines because they don’t suds up. So if you have a HE washer I would use the smallest amount of store bought detergent as possible – or none at all. You can store the majority of the soap in the bucket/tub that you mixed it in, or you can go ahead and store it in empty milk jugs, juice jugs, laundry detergent jugs – just whatever you have on hand. Stir/mix your concentrate well, then put equal parts of “gloop” and water into your jug and shake it a few times before each use to be sure it’s mixed well. Use 1/2 cup (a full cap on my Tide laundry detergent bottle) for full loads in top load washers and 1/4 cup for full loads in front load washers. * Here are several reasons why I think it’s better to mix store bought detergent with the homemade instead of essential oils. Regular homemade detergent makes no suds so the water is very choppy, which means noisy and messy. Just a smidge of store bought detergent calms the waters. Store bought detergent uses bluing to help keep your whites white. I’d rather buy a jug of inexpensive and nice smelling detergent than to spend money on the essential oils which can be expensive. If you’re a more visual learner, I’ve also made a video tutorial on how to make laundry detergent like Tide. 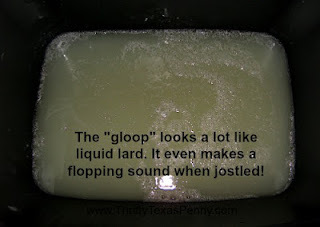 You’ll be able to see the “gloop” and all the steps involved. This recipe made 300 oz, but since it requires a 1/2 cup and not 1/4 cup per load that is equivalent to 150 oz of the Tide I buy. If you go through detergent pretty quickly you can always double the recipe. I paid under $9 for new packages of the 4 required ingredients. My OOP expense to make the 2nd batch will be free, and the cost for the 3rd/4th batches will be less than $1.29. I used 1/4 jug (4 caps full) of Tide laundry detergent that I paid $2.24 for, so my cost for 1/4 jug was $0.56 (shelf price would be $5.99/bottle, so $1.50). This brings the total cost for the equivalent of 150 oz Tide = $1.77-$2.71! That’s between 2 and 3 cents per load! 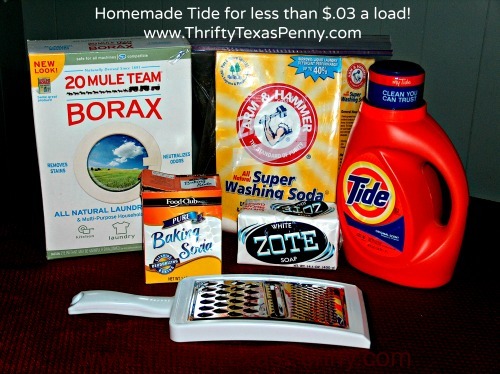 If you left the Tide out completely your cost would be just over $.01 per load If you typically shop at the “lowest price everyday” store you’ll pay $18 for 150 oz Tide, so in less than an hour you’ll save your family $15 or more! 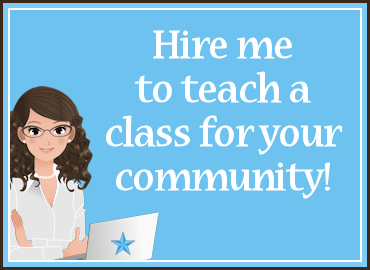 What do you think -will you give it a try yourself? Or perhaps you already make your own? I tried 2 different powdered detergents, but they took me longer to make and I didn’t feel like I got it mixed well enough. The laundry bar shavings seemed to always come to the top of the my tub. Please let me know if it takes more Gain than it did Tide to make it smell right. Since I come across frequent deals in which I can get laundry detergent for free, I don’t think its worth the time and effort to make your own. However, deals for fabric softener are rare, so I think it’s more worthwhile to make the homemade stuff. I can get deals for free hair conditioner and generic white vinegar is dirt cheap, so I can make fabric softener for pennies to go along with my free brand name detergent. LOL there will always be people willing to pay shelf price for convenience! This is definitely on my to-do list. Great recipe!